Throughout the Bible there were many examples of the expression of worship that truly moved the heavens and pleased God. Throughout these few weeks we want to talk about those expressions and how to maintain our worship even in seasons of silence. The spiritual climate may be heavy at times – but we must learn to continue to worship even in those times. One truly remarkable time of worship was when Moses and Miriam led the people in worship as they saw their enemies swallowed by the sea in Exodus 15:20-21. -What caused them to worship? What had God done for them? So you see, the people had seen God’s glory revealed through the Red Sea opening up. They had seen his hand move and how he had delivered them from their enemies. They were at awe of His miracles. Then Miriam led them to dance and play an instrument. Celebration is an expression of the totality of the results of God’s work. It is a full response to the wonder of God’s hand. It is a surge of energy, and all cry out for expression.There is something great that happens in the heart of people when they’re at awe. If we see that he is the source of every blessing–whether physical, spiritual, relational or otherwise, we won’t be able to keep ourselves from worshiping Him. We must have humility when we come before the Lord. True humility is the primary reason that God responds to our worship. 1 Peter 5:5 says “God resists the proud but gives grace to the humble. Worship is a sacrifice. There is something precious about giving God everything we have. Hanna gave Samuel to God after asking Him for Samuel. We should trust God for things we can’t control. Mary was overwhelmed and honored when she found favor in God, making her the mother of Jesus. She burst our a song of gratitude in Luke 1:28-30. Have you ever thought about what if Mary had said no? Her response to the angel was a indication of her willingness to venture into the unknown. We have to take risks sometimes when we offer God our lives, but this type of worship is pleasing to God because it yields obedience to Him. Real conversion leads to service, service leads to prayers, petitions and intercession for God’s help. Psalm 18:6, Psalm 18 46-48. Worship flows during the trials of life, as a cry for help, our worship becomes a cry in trouble. Sometimes the language of worship is born into our language, and even in our hardest times instead of complaining, we groan deeply for God’s help. If we engage in worship in cry, God’s response will be victory over our trials and that will be transformed into a song of praise to sing for gratitude. When people diligently pursue God’s will. This can be intense worship! In Matthew 5:3 says “God blesses those who realize their need for him, for the kingdom of Heaven is great to them”. We may cry out to God for more knowledge, revelation, more love. When we’re empty, we hunger for God in worship. God is leading us to worship Him in Spirit and in Truth. He’s leading us to grow in maturity. The bible teaches us to worship with our bodies. Psalms are full of examples where of physical acts of worship. When I kneel or lift my hands or dance worship takes on a deeper meaning for me. Because my spirit mind and body are interconnected I can’t help but be inspired in my heart when I move my body in worship. God created us with emotions. PRAISE: To shine, boast, to be clamorously foolish to rave. SHOUT: (“teruah” found in Joshua 6:5, Ezra 3:11 and Psalm 47:1) clamor, acclamation of joy or battle cry. Ruwa another word for shout means to split the ears with sound. DANCE: Physical and emotional expression may result in body movement. This is a response to God – true jubilation to God. When people are filled with unusual faith and expectancy worship goes to greater heights. It is important to come to a place of worship where you are EXPECTING God to come. There are many parts being played simultaneously in worship. Love, Adoration, Praise, Prayer, Tongues, Celebration, Intercession. Thanksgiving, Petition, Stirrings of prophecy, words of knowledge…much of worship is prayer, for both are intimate communication. Worship is a deep connection with God. As we worship at home, we connect with God–but when you come together to church the manifest presence of God is magnified and multiplied. Being in His presence excites our hearts and minds and we want to praise him for the deeds he has done, for how he has moved in history for his character and attributes. When we realize all He is and all He has done – we want to EXALT him. During worship God may also call to our mind disharmony or failure and that is what sometimes makes us cry. Tears may flow as we see our limitations but his unlimited possibilities. We lay ourselves before him in humility. We express our desire to serve him and obey him. We tell him we want to be like him. If we are speaking intimately to God, he responds intimately to us. He may give us exhortation (Calling us to change) or joy (calling us to celebration). God also responds with a move of the Spirit: people fall, shake, experience mass deliverance, healing, salvation, forgiveness, anointing, intersession, etc. Prophecy is another common response. God may express His heart back to the people through the mouth of one or more worshipers. Another prophecy is a message in tongues, which is common. God also responds by drawing you to a scripture, which has a set meaning and suits the context. What happens sometimes is that we don’t engage in worship. We engage our minds but not our bodies and emotions. 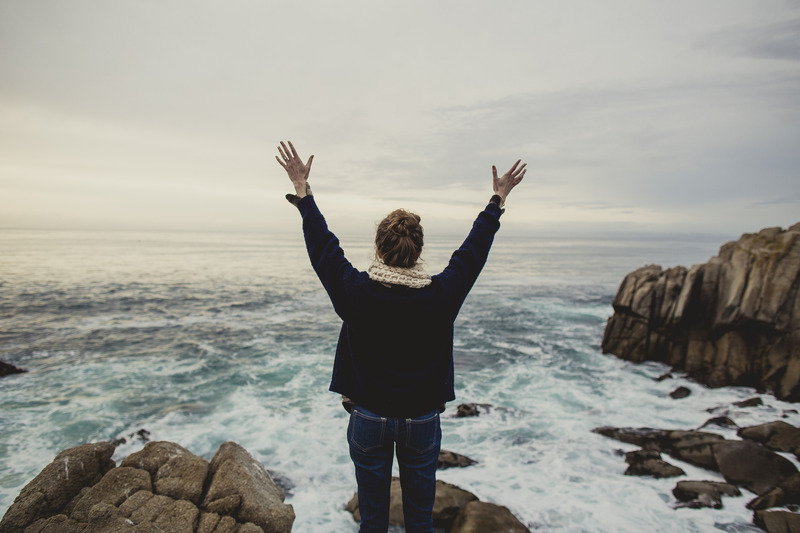 If all we do is meditate we miss out on the riches of expressive worship. You cannot immerse in a sea of worship if you don’t get your feet wet. 1: Have you ever heard the phrase ‘worship as a lifestyle’? What do you think it means? EXPLAIN: Worship as a lifestyle is about living for God, it is about making God the number one thing in our lives. In the Old Testament when they built idols to worship these idols were designed to be the centre of attention, when Nebechudnezzer commanded everyone would focus completely on the statue and worship it. When we apply the same thing to God it means being focused on God all the time. 2: Let’s read Romans 1: 24- 32. What happens if we don’t worship? EXPLAIN: The passage shows what can happen when we don’t worship God and put him first. 3: In the story of Miriam we noticed that she used the worship style of dance–joyful celebration. There are many styles of worship and many ways you can worship God. There are many ways to physically express your worship to God. (As opposed to lights off, hands lifted high and no body movement). How does this change the way you see worship? EXPLAIN: Because of our lack of willingness to use our bodies, we may miss out on the richness of expressive worship. We have to ask God to help us seek maturity in worship. When you worship, try to forget everything that is happening around you and focus on what God has done for you. 4: We said that “Physical expression is one measure of maturity in worship” — Why do you think that is? EXPLAIN: The bible teaches us to worship with our bodies. Psalms are full of examples where of physical acts of worship. When I kneel or lift my hands or dance worship takes on a deeper meaning for me. Because my spirit mind and body are interconnected I can’t help but be inspired in my heart when I move my body in worship. God created us with emotions.